So tragic and the stupidity of people never ceases to amaze me. 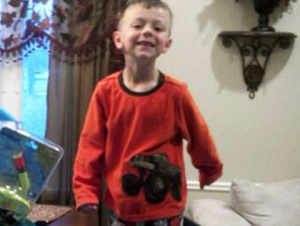 How could a Sheriff’s Deputy not know that you don’t leave a loaded gun around for a curious 4 year old to pick up. The gun owners should ALWAYS be held responsible. In both cases, I believe the child endangerment laws apply. Maybe not jail time for the parents but community service hours, education, required to speak to other gun owners, etc. We will see … We will see. I just think it is all terribly sad. So it goes, on and on. Those who believe there can be no limits without their ‘God Given’ rights being trampled are willing to see these tragedies happen as a sad but ‘necessary’ outcome. You know the stuff happens. Yeah, I have a dog in this fight. Sane gun laws, sane limits will begin to stop these tragedies. Our insane culture of violence must end somewhere and sometime. But those who believe their right to kill trumps all of our rights to life, well they seem to be winning right now. A very useful link, thank you. As part of an overall discussion on guns, this is surely a very relevant issue.